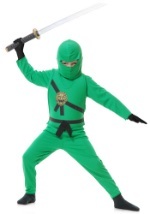 This ninja costume will have you feeling like an international karate master! 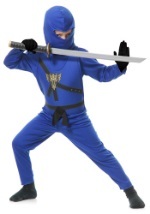 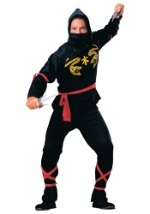 This 100% polyester ninja bodysuit comes with a long sleeve black shirt and a pair of black elastic waistband pants. 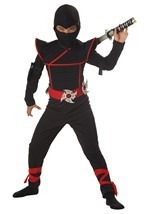 The matching costume vest goes over the head and ties in the back with gray ties. 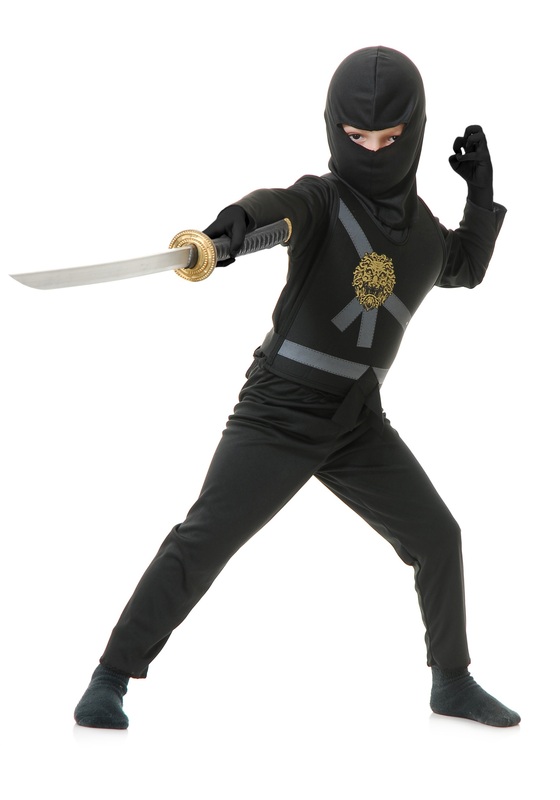 Gray faux ties are also painted on the vest of the costume as well as a gold lion emblem on the vest. 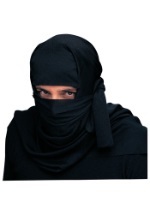 This costume also comes with the matching black hood that easily fits over the head to only reveal the eyes. 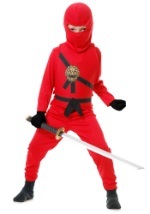 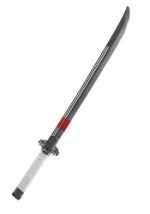 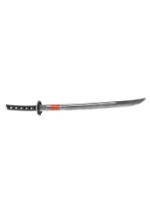 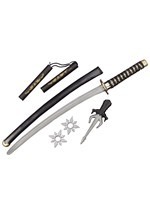 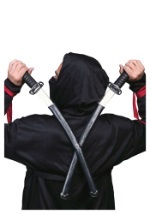 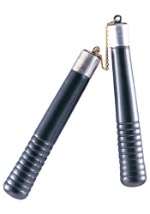 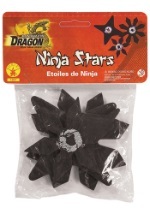 Check out all of our ninja weapons to pair with this fierce costume.